One of the main areas all these scientists, bloggers and self-proclaimed experts (The Ancestral Science Club) argue over, is The Discordance Hypothesis – the notion that, in the shift from a hunter-gatherer diet to an agricultural diet over the last 10,000 years, we have built a diet based on grains, dairy and farmed meat, and our bodies have not had time, biologically, to make the genetic adaptations required to handle these dietary changes. Most of the modern degenerative ‘lifestyle diseases’ are on the rise as a result of this ‘clash’ of old genes with modern food. This hypothesis, in reality, forms the very backbone of the entire paleo movement. This really is what it all comes down to. This post is already very long, so I will not use this as a place to start a broad discussion of each individual point. Instead, let’s try to stay on-topic, that is to look at how the paleo movement base all their beliefs in the Discordance Hypothesis, and the Paleofantasy book (and its supporters) argue that the hypothesis is fundamentally flawed, they argue that 10,000 years IS plenty of time for human genes to adapt to these dietary changes. There has been a lot of discussion about the possible speed of change, have we had time in just 10,000 years to adapt genetically to the changes in our diet since the agricultural revolution. Well, firstly, the agricultural revolution was not exactly 10,000 years ago. I have read extensively on this subject, and in some parts of the world, the very earliest signs of agriculture go back as far as 13,000 years. In fact, there have even been odd isolated signs of the use of grains to make bread, and the use of animals in some form of domestication, further back than that, but it’s very isolated. So let’s say that in some parts of the world, the slow shift from pure wandering hunter-gatherer, to settled agricultural farmers, first began as far back as 13,000 years ago. But in other parts of the world, such a way of living was barely in place 5000 years ago. In fact, one could argue, that as a handful of peoples around the world STILL now live the hunter gatherer lifestyle, the process has still not completed fully, 100%. So the human race, switching from hunter gatherers, to farmers, was not a sudden thing. It’s not like caveman was wandering 20 miles every day then suddenly stopped one day, looked the other tribe members in the eye, and said, this is a nice spot, let’s build a village. They all would have said “What’s a village?” It didn’t happen that way. Over the longer term, thousands of years, communities of people moved with the climate, exploring further North as the planet warmed, pushed South back into warmer places as the planet cooled. At the ‘life for a single generation’ level, I suspect most tribes would have had their territory, their patch, and human expansion across the planet was fuelled by each generation daring to explore a little further, growing the territory, likely following trails created by herds of wild animals. Much of the planet was colonized by early humans following coastlines, living off shell fish and dwelling in caves for shelter. Over time, wandering became pastoralism. Rather than domesticating a herd of animals, building fences and keeping them in, tribes would have followed the animals, as a wild herd moved, so tribes of humans (and no doubt other meat eating predators too) would have moved with them, feeding off the herd a little at a time. In many parts of the world, pastoralism is still actively practiced today. Then the shift from herd-following pastoralism, to settled agriculture, would have taken many generation. Our ancestors would have found ‘ideal’ places to live. Land offering access to coast line, possibly a river for fresh fish, a hill top to survey the surrounding land to spot herds moving and to lookout for invaders, maybe caves or cliffs for shelter, and an abundance of varied plant life. Such places would have offered everything needed, and between 13,000 years ago, and 5000 years ago, such places around the world became permanently occupied by humans who realized they could live within that area permanently and Mother Nature provided a constant and varied food supply. No doubt, at first, herds would have wandered in and out of the land, and hunting parties may have been forced to hunt ‘off territory’ from time to time in order to bring back meat. Eventually, they figured out that they could capture some animals and keep them confined, breeding them, and creating a fresh meat supply for the long term. The domestication of animals, grasses (grains) and other plants slowly became accepted practice. So the agricultural revolution wasn’t brought about by a viral Internet hit, there was no email memo that went round overnight telling everyone on Earth to stop roaming and settle down. It was a very long, slow process, and archaeological evidence suggests that it happened between 13,000 years ago and 5000 years ago in different places around the world, and I would argue that in some places, it has barely completed the full transition even now. So this core argument – the paleo believers say “ten thousand years is not enough time for our bodies to genetically adapt to the post-agricultural diet” is a muddy and complex point, because in some societies, some descendant gene-lines, the time is as much as 13,000 years, and in some societies, it’s barely 5000 years, or even less. The paleofantasy argument that “10,000 years IS plenty of time to adapt” is equally muddy, because there is evidence to suggest that gene adaptations can happen within a 10,000 year time frame, but as I have explained, the whole planet did not all switch to agriculture exactly 10,000 years ago, so it’s something of a moot point. 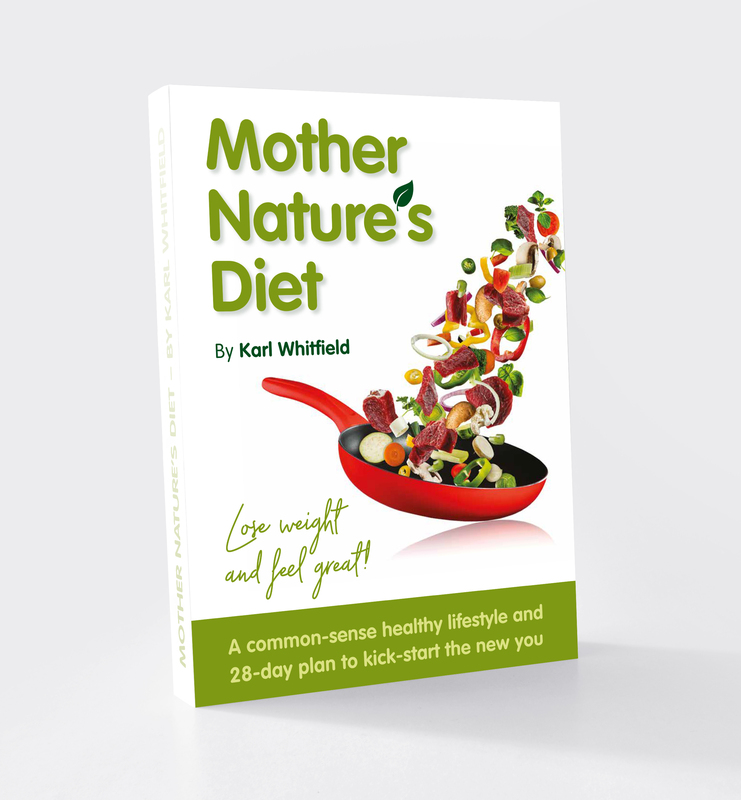 The reality is, the switch to a diet rich in grains occurred between 13,000 years ago and 5000 years ago or considerably less in many places. I would extend the argument, to say that the widespread mass consumption of grains, or refined grains, forming a bulk part of our diet (measured as a percentage of total calories consumed) has only come about in much more recent times, maybe the last few thousand years for some peoples, but for many, just the last 200 years, since the Industrial Revolution, since the mass automation and mechanization of farming and food distribution. Can gene adaptations happen quickly? I am not a trained geneticist, and while I am well read on anthropology and nutrition, I am not well read in genetics. So I will avoid diving too deep into the science of human genetics, but I will just touch on a few points. Cooking – we have genetically adapted to eat cooked food. I covered this point earlier, that science suggests that if early hominins had stuck to only eating raw food, we simply would not have had the time and energy required to eat (chomp and chew) through enough food to supply the intake in calories that we MUST have consumed for our brains to grow as they did over the period from 3 million years ago to 200,000 years ago. Quite simply, learning to tame fire and use it for cooking; learning that meat and vegetables were easier to eat and tasted better (and kept us warm) if we cooked them first (the action of cooking breaks down the food, pre-digesting it to a certain extent) was a key factor in enabling us to grow into the supreme species on the planet. Sure, raw food is good for us, and in summer when the weather is warm, I will eat as much cold salad, fresh fruit and raw vegetables as I can, but humans are fully genetically adapted to eating cooked meat and cooked vegetables, and indeed the fact that we do, is one of the key factors that made us who we are today. The Discordance Hypothesis argues that ten thousand years is not enough time for our genome to have adapted to eating grains and dairy. However, in that same ten thousand years, we have genetically adapted to change our skin colour (there were no white people before ten thousand years ago, see this article for more) and we are rapidly changing our bone structure, as people are becoming considerably taller. So some genetic adaptations can happen surprisingly fast. The speed of our ability to learn has radically and rapidly increased. Our ability to learn complex thought patterns and compute complex mental processes has evolved at tremendous speed. The fossil record shows that in fact, our average physical brain size has actually DECREASED a little since its peak about 100,000 years ago. Yet we clearly have taken learning and creative thought to incredible new levels in just the last few thousand years. From the anthropological and archaeological evidence, we understand that it took caveman multiple generations to make small advances in technology and tool making, improved hunting techniques and so on. The fossil record, and archaeological records show that each advance in pottery, tool making, art, weaving, crafts, etc, came hundreds of years, or more often thousands of years apart, major advances were tens of thousands of years apart in stone age times. Yet now, in modern times, we have a structured education system that can take a child from birth to a highly academically educated state of intelligence in just two decades. After those 20 years, that young adult can become the creator of new intelligence, going beyond the current total collective knowledge of the human race, creating, inventing, writing and innovating in new ways to further the mass collective intelligence of our species. All the time we see hot shot young 20-somethings writing new software and creating new services that previously never existed, and these things are not ‘once per hundred years’, such things happen around the world pretty much all the time. All in just 7 years! Or maybe, they could all come along in just one year. The point is, progress that took caveman a million years, when the human population on all of Earth was just a million people, we can achieve every day now, as 7 billion evolved brains work faster than ever before. So it seems human genes can adapt surprisingly quickly. If the agricultural revolution wasn’t actually a single event that happened globally at almost precisely 10,000 years ago, but in fact was a slow process of staged change, happening around the globe between 13,000 years ago and 5,000 years ago, then we might today expect to see a world where half the people are evolved to tolerant grain, and the other half have not yet completed that evolutionary process. Gluten sensitivity is a spectrum condition, they are many levels of sensitivity, so it’s not just a case of “you have celiac disease or you don’t”, it’s way more varied than that. Research suggests that around the world, anything between 6% and 65% of the human population display some degree of sensitivity to gluten. So average, it could be fair to say that around a third to a half of the human population are not genetically adapted to tolerate grains, but a half or more, are. Sounds believable to me. Again, let’s follow the same logic for dairy consumption. We can understand that the shift from hunting and gathering (when let’s face it, if caveman could have got close enough to a cow to milk it, he would have killed the cow and eaten it instead) to pastoralism to farming occurred over a long slow period from 10,000 years ago to as recent as just 2,000 years ago, in different parts of the world. So now, we might expect a proportion of the human population to have been consuming cow’s milk for enough thousands of years to develop lactose tolerance, while in other parts of the world, where the consumption of dairy is uncommon or has not been a part of the human diet for long, we might expect to see high levels of lactose intolerance. And indeed this IS exactly what we see. The genetic adaptation to cope with dairy is a work-in-progress and in cultures where dairy consumption is common and has been common for a long time, tolerance is higher, and in populations not accustomed to dairy, tolerance is lower. Like so many things, there is no ‘one size fits all’ solution that provides the definitive answer to all things for all people. Some people thrive on a diet rich in grain, some people get sick eating grain. Some people thrive on a diet rich in dairy, many don’t. Some people thrive best as vegetarians, some thrive best eating meat. There is no single answer, because WE are all different, and we live in different environments in different parts of the world. This is why MND aims to teach broad basic principles of good health, not detailed specific recipes, meal plans and exercise regimes. MND promotes eating plants and animals, and not much else. The proportions of each are up to you – experiment to find what works for YOUR body, then eat that way for optimum good health. MND promotes eating a diet free from chemicals, additives, refined sugar and obvious junk food. NOBODY thrives on eating that stuff. The thing is, these experts are arguing over minor details, whether or not they support the discordance hypothesis. The paleo crowd seems to broadly promote an ultra-low carb diet, and some are arguing that caveman would have eaten many tubers and roots, so plenty of starchy carbs. These are MINOR details people, and they in fact are NOT the most important issue. Learning about our ancestors is great, but let’s keep it real folks, the point is what can we advise people to do TODAY. If they want to eat the odd potato, then it’s no big deal…so long as that potato is plain boiled, or baked, not sliced, chipped, turned into a bag of flavoured crisps covered in salt, sugar and chemical preservatives. Instead of debating whether or not early man ate a potato 100,000 years ago, we should instead look at the BIGGEST changes in human health, in how we live, how we eat and how we look. While huge changes have been happening since around 10,000 years ago, and agriculture was the single fastest and biggest event to change the face of life on earth in the last million years, that should not distract us from the fact that the greatest changes in human health – related to our current problems, which are obesity and diseases caused by over-consumption – have occurred in just the last 200 years, since the industrial revolution. It’s about much more than whether or not we eat a few potatoes…we need to get off FOOD as the FOCUS! The major problems in human health that we face now, in the 21st Century, have come about since we invented all the chemicals, the additives, E-numbers, preservatives, synthetic food additives and other crap that now goes into our food, into our bodies and into the air we breathe and the water we drink. It’s TV screens, computers, car fumes, air travel, cigarettes, alcohol, recreational drugs, prescription drugs, burning fossil fuels and microwave meals. It’s financial debt, stress, rising divorce rates, the media, the stress of society and the pressure to work and earn money. It’s everyone trying to be rail thin with slim hips, 6-pack abs, a big house, a nice car, the right clothes and the right friends. It’s stress, chemicals and the addictions (sugar, alcohol, nicotine, etc.) – these 3 things have had more impact than anything else. Quit fussing over potatoes and oats, it’s the refined sugars and chemicals in our food that are giving people cancer and heart disease. Over the last few hundred years, we have cured many of the ways Mother Nature was keeping our population in check – we have eradicated things like malaria in the rich world, we have cured many of the traditional diseases, vaccination programs have genuinely saved millions of lives that might have died from Rubella, Smallpox, Diphtheria, Polio, Mumps, Flu, Hepatitis, Measles, Tetanus, etc. But the major health problems now facing the rich world are self-inflicted…1.5 billion people are obese or overweight, who will likely all die of heart disease, cancer, suffer diabetes and so on. These health problems are caused by these three core factors – stress, chemicals and addictions. Chemicals – the biggest change in our food isn’t down to arguing the details of did caveman eat potatoes or not, it’s the reality that a frozen ready-meal bears no resemblance to real food whatsoever. McDonalds is not real food, it does not rot down and decompose the way real food does. Food today has been pumped full of chemicals, additives, preservatives and artificial flavourings and colourings. This so called food is pulped, processed, beaten, heated, frozen, boxed and packaged crap…breakfast cereals covered in sugar are not real food. Our lives are full of chemicals – pollution in the air from burnt fossil fuels. Radio waves and radiation from a billion screens. Chemically treated water. Additives in our food. Cosmetics, hairspray and deodorant. Addictions – refined white sugar, the scourge of the human food supply, smoking, alcohol, processed refined grains, white refined fats, sweet foods, habitual over-eating. The human race, in the Western World, has desperately messed up its own food supply. We now feed people processed grains, processed dairy products, fatty meat, refined sugar in everything, HFCS, trans-fats, synthetic additives and man-made chemical substances. These things are not real food, Mother Nature did not intend for us to poison our bodies this way. Well done, that’s the end of Part 2. Now, please read on for the third and final part of this extensive blog: Paleo-Reality Part 3: Why MND and The Pre-Industrial Diet offers all the answers. ← Paleo-Reality Part 1: What’s right and wrong about paleo diets. Absolutely, yes, another crucial factor.